Congratulations to Ernst Grigas, a fifth year student who won a gold and a bronze medal at the Irish National Taekwondo Championships. His classmate Daniel Markevics also won two silver medals. 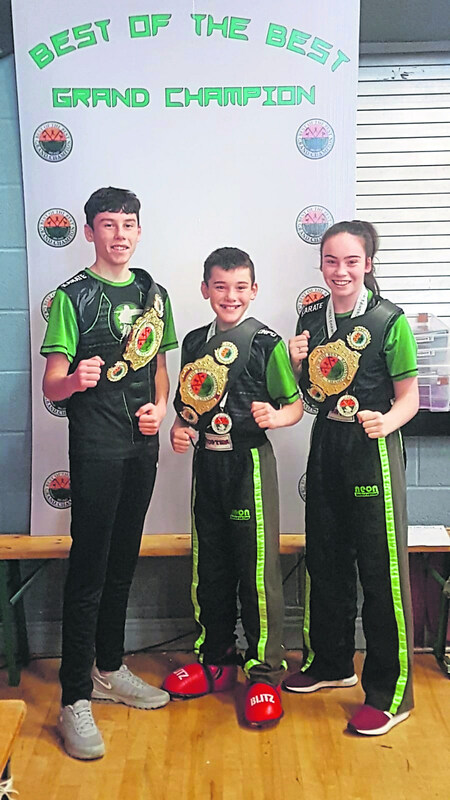 Pictured far right: Brendan, Darragh and Naoise Booth who got their Grand Champion Belts having won three out of four competitions at the Best of the Best Karate Championship, while sister Niamh came in third place.